People often say to me: “Grant, you’re missing all the fun! Why don’t you go out, and party a little? Let loose! It’s Dillo Day!” And to all of those people, I say, “You’re missing the point.” You see, having a great time isn’t about the loud music, the people, the drunken debauchery, or the drugs. Sure, I could go to Dillo. But who needs it when I have my trusty Bop-It by my side? My Bop-It doesn’t crank the music up to blast my eardrums out. 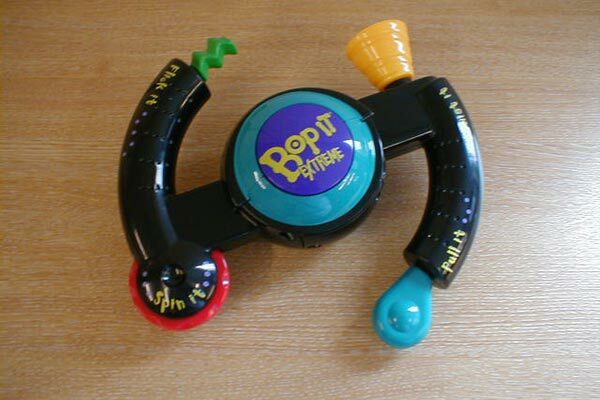 It plays the soft and smooth reggae jams with the occasional, friendly “Bop-It!” that make my body groove. I don’t need any sort of stimulants, alcohol, or hallucinogens. The pure, raw adrenaline and euphoria that courses through my veins is enough to keep me going all night. No, the only thing I need is the colorful, ergonomic plastic edges and radical “Ne-ne-ne-NEW HIGH SCORE!” voice for me to rock out with my Bop-It out.